The death toll from a powerful earthquake that triggered massive landslides in northern Japan rose to 44 on Monday with tens of thousands of police and troops still on the ground to support survivors. Chief Cabinet Secretary Yoshihide Suga said no one was left on a missing list, which suggested the figure could be the final death toll. Around 40,000 police, fire fighters, troops and maritime safety officials were providing assistance, with more than 2,700 people still forced to stay in shelters after the killer quake struck the northern Japanese island of Hokkaido last week. "The government will strive to get hold of what is needed on the ground and take every possible measure so that people can return to a normal, safe life as soon as possible," Suga told a news conference. He also warned that islanders should remain on alert as rainfall was forecast in the region, which could trigger fresh landslides. 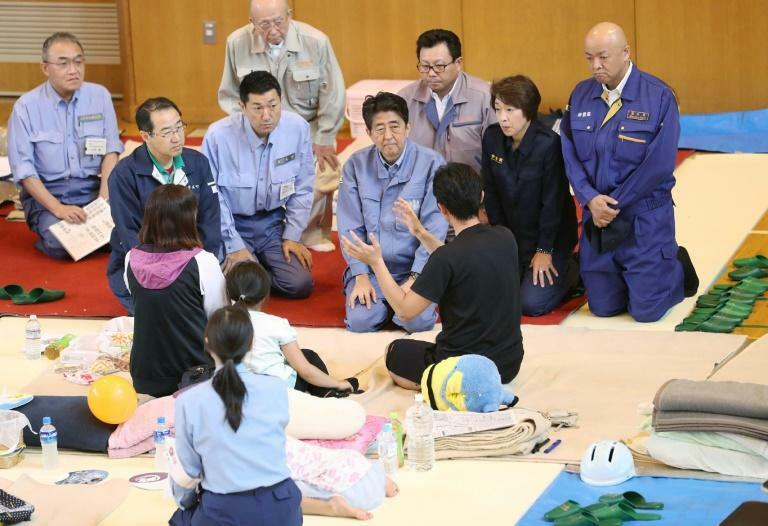 Launching a campaign for another term as head of his ruling party, Prime Minister Shinzo Abe reiterated his government will "do its best" to restore the disasters-hit regions.